Your home can do more than just keep you safe and warm at night. Your home can do more than just provide security for you and your family. Yes, your home can do more, it can do a lot more. And one of the things that it can do is make you money. To see just how your home can make you some money, make sure to read on. Yes, remortgaging your home and getting the cash injection from doing so may not officially constitute as your home making you money, but it can provide you with it. And, this is a good course of action to take if you and your family are in desperate need of a cash injection or if you need some money to be able to fund a redevelopment on your home that will improve it and up its market value. When you remortgage or renew your mortgage, especially when you do so alongside a professional in this particular field, such as Altrua Financial, you give yourself the chance to borrow a large sum of money against your property. And, when this money is put to good use and injected back into the property in the form of developments, you will see your home’s eventual sale price rise immeasurably. In this day and age it is common for people to rent out a room in their home either to a lodger that stays there over an extended period of time, or to somebody that is just passing through the area in which you live on a travelling experience. When you rent out a room to a lodger full time, however, you have to be aware of a few things. One thing you have to be aware of is that you must inform the authorities of your new venture and have your home vetted by them to see if your home is appropriate. Something else that you should be aware of is that you must complete a tax return if you make what is considered to be over the income limit. When you rent out a room on a part time basis to travelling nomads who need a place to stay for the night, you should ensure that everything regarding the booking process is recorded. You need to do this because if any problems were to arise — say something was stolen from your home — you would need their details in order to have them tracked down. If your drive is big, and if you live in close proximity to a local landmark or city centre, then renting out your drive should be a no brainer. This is because, quite frankly, the venture takes little to no work on your part! All you do is ensure that all the registration details of the cars that park on your drive are recorded, which could even be via camera in order to be able ensure that the drivers of these cars pay you accordingly. 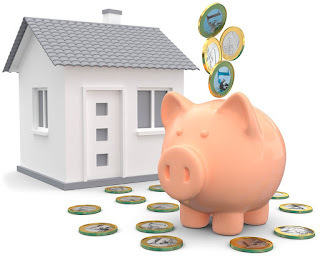 If you are teetering on the edge of the pit of financial despair then allowing your home to make you some money could be the answer to all of your financial problems.